Host the wedding of your dreams at one of the classiest wedding venues in Wisconsin Rapids. Hotel Mead & Conference Center has the full staff and event space necessary to make your special day go off without a hitch, and their team is very experienced in assisting brides and their families with making wedding plans. When you book your wedding at Hotel Mead & Conference Center, these professionals will work with you up to the actual day of the event to ensure that everything turns out according to your specifications. Multiple Wedding Venues: With a total of 13,000 square feet of space, Hotel Mead & Conference Center has more than enough room to accommodate your guests. Their beautiful wedding venues include the Atrium, the Grand Ballroom, the Riverside Ballroom, and the outdoor Terrace. Complimentary Suite: Who doesn’t like free things? When you book any of the ballrooms for your special day, this full-service hotel will provide you with a complimentary whirlpool suite for your wedding night. Centerpieces, Tables, & Linens: You can count on the staff to make the planning process go smoother. 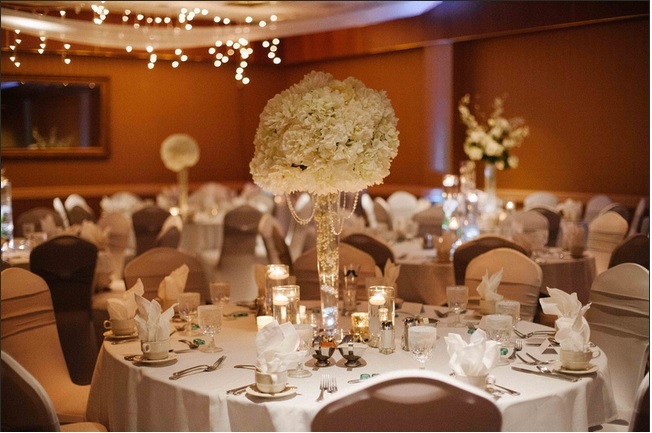 They will offer you complimentary centerpieces, chair covers, linens, and experienced waitstaff to serve your guests. Catering Service: You won’t even have to worry about the food, either! As a full banquet facility, Hotel Mead & Conference Center has professional caterers on staff who will work with you to create the ideal menu for your guests. Hotel Mead & Conference Center is ready to do all they can to make your special day nothing less than perfect. For more information about their wedding venues, give them a call at (715) 423-1500 or visit their website today.